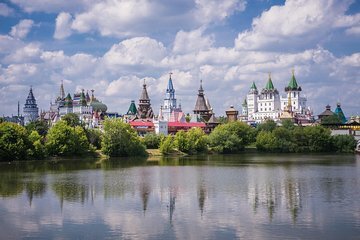 Discover another side of Moscow during this 3-hour private tour to the magical Izmailovo Kremlin and three of Moscow's beautiful metro stations. Moscow is home to one of the most exquisite metro systems in the world, with over 215 stations, almost half of which are protected monuments. Then head to the courtyard of the 17th-century Izmailovo Kremlin and take a trip through Russian history as you explore the architectural masterpiece.